October is National Breast Cancer Awareness month, and you can do your part by wearing pink and purchasing products that support Breast Cancer Awareness. 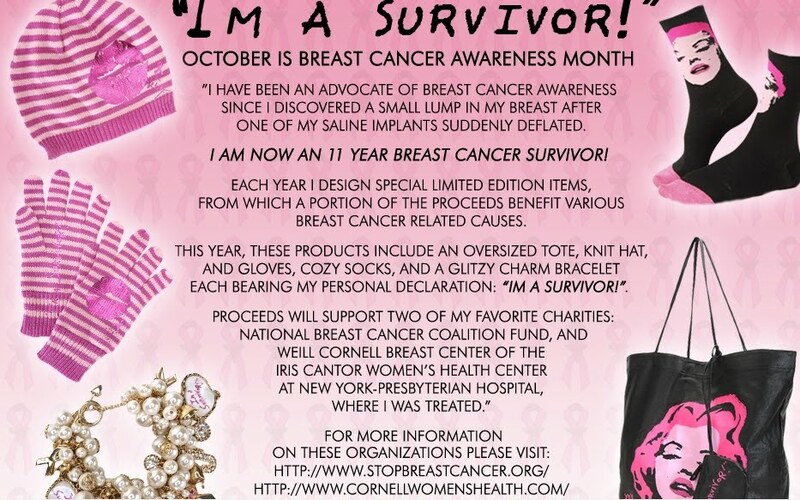 During the month of October, I'll be sharing my top picks of designers and brands supporting Breast Cancer Awareness. 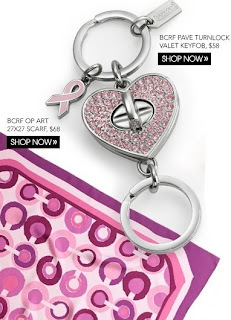 In honor of Breast Cancer Awareness month, Coach will donate 20% of their Positively Pink Collection to BCRF, Breast Cancer Research Foundation, a charity dedicated to prevention and a cure for breast cancer. You can shop at coach.com for these special products, which include this BCRF Pave Turnlock Valet Keyfob ($58) and BCRF Op Art 27 x 27 Scarf ($68), among other items. Purchase BCBGMAXAZRIA's Dream Scarf ($48), Notebook ($15) or Sunglasses ($120) and 25% of your purchase will go to Susan G. Komen for the Cure. Shop at bcbg.com. Betsey Johnson has been a breast cancer survivor for 11 years! Each year Betsey designs limited edition items, from which a portion of the proceeds benefit various breast cancer related causes. 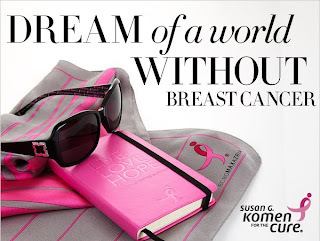 This year proceeds will support two of her favorite charities - National Breast Cancer Coalition Fund and Weill Cornell Breast Cancer of the Iris Cantor Women's Health Center at New York Presbyterian Hospital, where Betsey was treated. You can shop the oversized tote ($75), knit hat ($30), gloves ($30), cozy socks ($10) and glitzy charm bracelet ($125) at betseyjohnson.com.